Next party: Swinging at the PBC with Professor Cunningham and his Old School (14th December 2016). We're ending our year with a BANG at the Petersham Bowling Club. Adrian Cunningham is in town, he likes dancers and we like him, so we're having a party. 7.30pm Live music with Adrian Cunninghm and his band. Where: Petersham Bowls Club, 77 Brighton St, Petersham. Cost: $20, and that includes a free dance class! Don't want to dance? That's cool - the PBC has plenty of seating and we'll put the band on the (tiny) stage. These guys are great entertainers, so it's nice just to sit, watch, and enjoy the music. Wait, who is this Adrian Cunningham? Oh, he's only one of the most popular band leaders in the modern lindy hopping world. 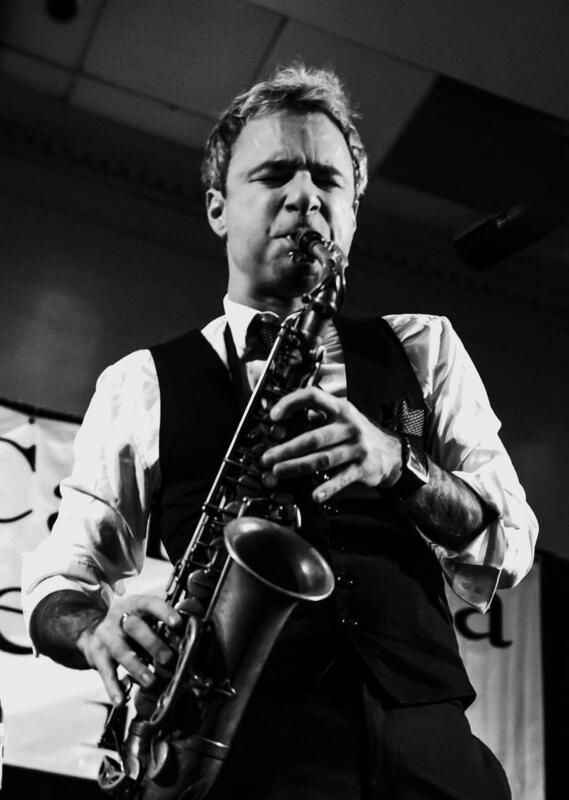 While he's based in New York, his band Professor Cunningham and His Old School has played at The Snowball in Sweden, Gastro Swing in Spain, Swing46 in New York, and more. Adrian is a fixture in Naomi Uyama's Handsome Devils, he's played and recorded with Gordon Webster... And he knows how to play for lindy hoppers. Andrew's used to playing for thousands of dancers at a gig, but he'll cheerfully squeeze onto the PBC's stage with a few of his friends.